This article was printed from http://propel.mdat.org/2007/05/. Jeran Anderson grew up in Missouri; her sister keeps a goat, whis is apparently something people in Missouri do according to her Facebook.com album about the goat. Jeran is my Facebook friend: I “randomly Facebooked” her after seeing her at an art gallery opening and later realizing she was in a design class taught by a friend on mine. 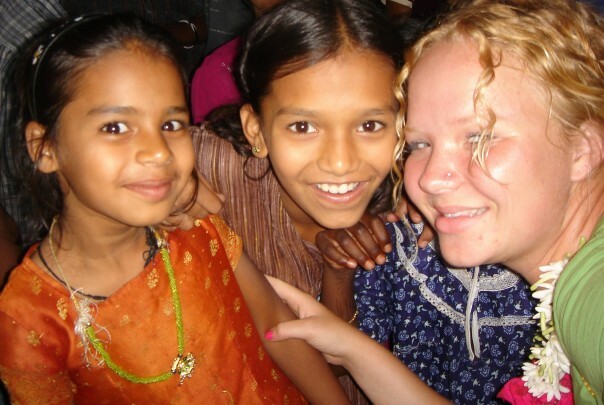 Jeran participated in a mission trip to India in 2006. The country and its people captured her heart, and she is biding her time until God lets her return. This interview was conducted over Facebook. Propel: Were you interested in missions before you went to India, and if so can you point to what got you interested in missions? Jeran: I first had an interest for missions when missionaries came to my church when I was in the sixth grade. I thought the life of a missionary seemed so adventurous and exciting. P: What prompted you to go to India for three weeks? J: The thing that prompted me to go to India was really God. He used a good friend to spark my interest in the trip, and I also read an article that had a quote from a huge hero of mine, Amy Carmichael. In the article it talked about how she said the biggest problem in India is the lack of prayer. I decided to let God move and open doors if it was His will. I thought going to India for three weeks would be a good way to see if missions was for me. God opened all doors and taught me so much. P: What was the nature of the mission trip — that is, what did you do while you were in India? J: While I was in India I worked with Indian pastors doing village evangelism. I also worked with widows, lepars, and orphans. It was an amazing time to see such beautiful people of God that needed His love. P: How did your time of service in India change you, if it did it? J: I feel that India has forever changed me. I am in love with a country and the people in it. The first day I was in India I thought it was so different and exciting but I wanted to have more passion for the people. I prayed that God would give me a heart and passion for India and it’s people. God did exactly that. Even though it was hard at times, each day I loved India more and more. During my time back from India I have learned even more about the country and miss it very much. I feel drawn to those people, and every day I feel more sure that God is calling me to spend my life in this country. P: What is it about India that has you so intrigued, if you know? J: I think that India is so beautiful with its bright colors, spicy food, dark people, fun music, and passion for Jesus. The gospel is spreading so quickly over there and it is great to see. There are also so many that are under the darkness of Hinduism and Islam. We as the body of Christ need to pray that they would see Jesus as the one way and truth (John 14:6). P: You have plans to study abroad for a semester in Ireland. 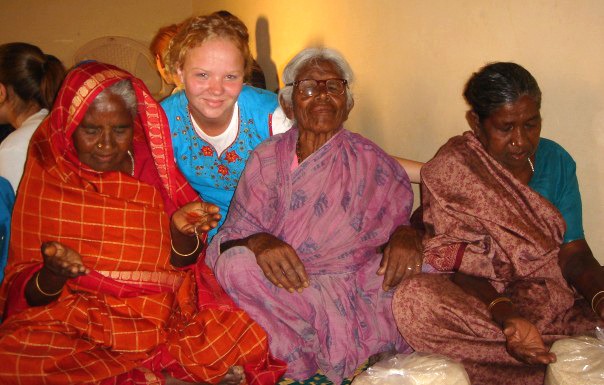 Did your mission trip to India prompt you to look into other cross-cultural opportunities such as this? J: I was originally wanting to study in Uganda but God seemed to close doors towards that trip and open them to Ireland. I am really excited to live in another culture for a semester. India helped boost that cross-cultural excitement, but I have loved other cultures. P: What do you look forward to learning from your time in Ireland? J: I am interested in just learning more about how other people in the world live. I think that there is always a great deal to learn from those around the world. I want to have fun and adventures too. I think it will also be interesting to be able to study the church in Europe and see some of the problems they are having. P: As a graphic design major, do you think you’ll ever use your field of study on the mission field? J: My major has been something that I really don’t get. I do feel that it has been something that I need to trust God in. Most people would ask why I am not a cross-cultural services major. I feel that by being in graphic design I have a service to offer. I feel that God has told me to finish my education before He sends me out. I don’t know if I will ever use it, but it is something I do have. Honestly, I like [graphic design] but my passion is missions. I am waiting to see how God will use that in my life. I would love to take pictures overseas for a mission board. The M-DAT staff devised this list late last year in order to guide students at Urbana, and elsewhere, in choosing short-term opportunities wisely. • Why are you going? What is your motivation? • What type of experience are you looking for (discipleship, cross-cultural exposure, ministry experience etc.)? • Which level of cross-cultural experience is right for you? • Fit: Do they have programs that match your interest and experience? • Experience: Do they have experienced mature leaders onsite? Does their communication with you show signs of quality and professionalism? • Preparedness: Have they thought things through (expect some flexibility but also thorough planning)? Do they have emergency management procedures in place? • Comprehensive: Do they provide adequate training to prepare you? Do they help you process the trip with a debriefing? • Dependable: Do they do what they say they do? What do people who went last time say? Do they practice the Standards of Excellence in Short Term Missions? • Long-term plan: Does it fit into a broader long-term plan for the area you will be ministering in? How does it match up with local churches and career mission work in the area? • Great Commission focus: How does what you will do help accomplish the Great Commission? Is there an evangelism or outreach element even if its mainly a construction trip? For more on finding the right Mission trip, see ShortTermMissions.com. Our vision is that every believer desiring growth in mission involvement would obtain the practical assistance necessary to realize significant, lifelong involvement in the Great Commission. Contrary to initial perceptions, “lifelong involvement” refers not to career missionaries but to the ongoing nature of the missions endeavor. Reaching the World has been on God’s heart since before we were born and will continue on His heart, if the Lord tarries, after our death. We do not clock in and out of mission every ten months like a seasonal job or check it off our list of things to do after going on a short-term mission trip. Missions is a core part of following Christ that should permeate our lives. While the exact expression of involvement grows and changes over a believer’s life, the heart, sacrifice, love, and worship behind it remains constant. So, what is significant involvement? First, and foremost, significant involvement sights in on the completion of the Great Commission (Mt. 28:19-20). Whether directly or indirectly, a clear connection should be present. Second, significant involvement speaks of a wholehearted and intentional giving of oneself to a selected task. Whether it is praying, going, giving, encouraging, welcoming, working behind the scenes or ministering on the front lines every part of the missions endeavor is important and necessary for the completion of the missionary task. All are interdependent. All deserve to be done with persistence and sacrifice. Over time, M-DAT hopes to provide a broad range of services that help a believer expand his or her capacity to participate in each of these areas and facilitate crossing over into different forms of involvement as life changes and God prompts. Well, this wraps up the series on M-DAT’s vision. If you missed one, you can go to read all four parts here. Apart from God, accomplishing this vision is impossible. We are obviously in over our heads, but we serve a big God! We covet your prayers for the ministry and would love to hear from you if this vision resonates with you. We are encouraged to see God working through the website! Watch for more user testimonies in the near future. • Praise: As our staff prepared some reports for our annual board retreat we rejoiced at seeing a solid, steady annual growth rate of 15-20% since M-DAT’s birth seven years ago across all areas of the ministry (service reach, man hours, funding). Praise the Lord for His provision!